140 Angler is great for a father/son outing. 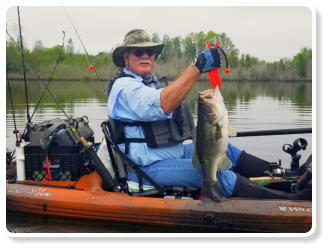 particular type of fishing we do in each boat. to relax and enjoy the outdoors. Come join us. to stand up in the Tarpon 130X for fly fishing and sight fishing. anchor trolley with a stake out pole and a light weight anchor. and have spent over 10 years fishing Charelston area marshes. enjoy the outdoors. Come join us. 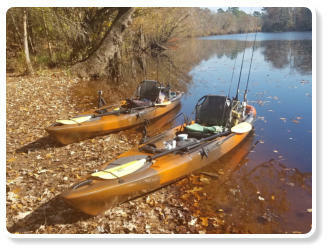 Guided Freshwater Fishing - Lake Moultrie, Lake Marion, Santee River Trip with guide, fully rigged fishing kayak, tackle, rods, hard lures, PFD and paddle included. Bait extra. 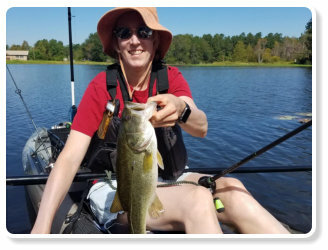 Half Day (up to 4 hours) Single Kayak $175.00 Each additional person in group $ 50.00 Maximum 3 kayaks/persons Full Day (up to 6-7 hours) Single Kayak $225.00 Each additional person in group $ 50.00 Maximum 3 kayaks/person Guided Salt Water Fishing - Cape Romain Trip with guide, fully rigged fishing kayak, tackle, rods, hard lures, PFD and paddle included. Bait extra. 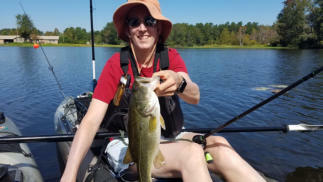 Half Day (up to 4 hours) Single Kayak $200.00 Each additional person in group $ 50.00 Maximum 3 kayaks/persons Full Day (up to 6-7 hours) Single Kayak $275.00 Each additional person in group $ 50.00 Maximum 3 kayaks/person Full days tours recommend bring water, lunch/snack. A break/stop will be done on a scenic beach on an island on a lake. 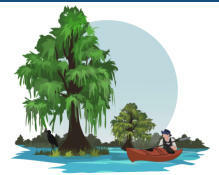 A break/stop on rivers and creeks will depend on water levels but will happen regardless. Discounts Repeat customers get 10% discount off package. 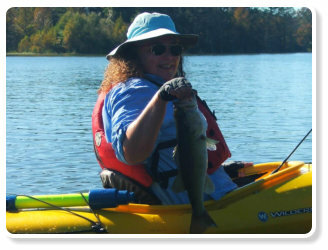 Tricounty resident, miliary (with ID) and seniors age 65+ get $5.00 off with ID All guided tours half price for paddlers with own boat and gear (boat and gear must be approved). 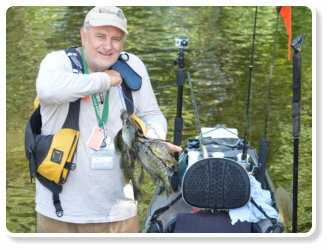 Call for pricing if you bring your own gear, but no boat.